Rep. Alexandria Ocasio-Cortez’s, D-N.Y., “Green New Deal” is the most radical and destructive policy proposal offered by a member of Congress in decades. Not only would it destroy roughly 3.4 million jobs related to the fossil fuel industry by eliminating nearly all fossil fuel use by 2030, it would also require “upgrades” to every home and business building in the country and the creation of single-payer health care, a “basic income” program, and a federal jobs guarantee, among many other left-wing policies. 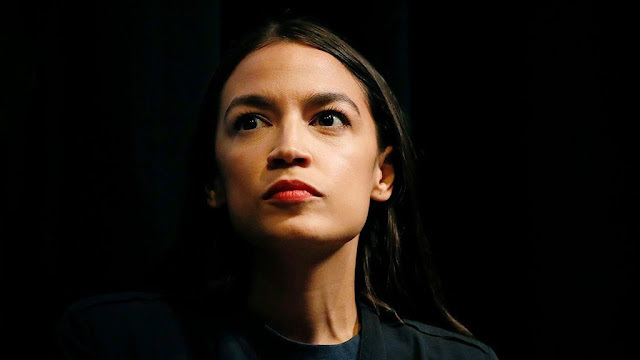 Ocasio-Cortez has been labeled an innovative thinker for offering the allegedly visionary Green New Deal, but the truth is that most of these ideas have been floating around socialist circles since at least the early 2000s, and there is strong evidence to suggest that much of the draft text of Ocasio-Cortez’s Green New Deal is merely a revised version of the “Leap Manifesto,” a socialist green-energy plan pushed by far-left environmentalists in Canada. Some of the other radical people and organizations involved include the influential environmentalist David Suzuki – who has said on multiple occasions he believes political figures who deny the theory humans are causing catastrophic global warming should be thrown in jail – and 350.org, a left-wing environmental group founded by Bill McKibben. McKibben is the author of “Maybe One: A Case for Smaller Families,” a book encouraging all people not to have more than one child because, according to McKibben, population growth is hurting the planet. In a lengthy 1998 article for The Atlantic, McKibben even went so far as to say it’s “bad news” the world’s population had grown to six billion. Among the manifesto’s “initiating organizations” are numerous other far-left groups, such as Black Lives Matter–Toronto, Greenpeace Canada and Climate Justice. Socialist organizations endorsing the plan include ACORN, the International Socialists, Socialist Project, and the Socialist Caucus of Canada’s New Democratic Party, among dozens of others. Ocasio-Cortez’s close relationship with the Sunrise Movement and Justice Democrats – organizations credited with helping Ocasio-Cortez create her draft proposal – is a direct connection to the socialist “Leap Manifesto.” Some of the leaders of the Sunrise Movement came from McKibben’s 350.org, and Justice Democrats is run by a former member of Bernie Sanders’ 2016 presidential campaign, which also included numerous advocates of the “Leap Manifesto” and McKibben’s many calls for banning fossil fuels. Even Ocasio-Cortez’s branding of the Green New Deal as a kind of “Marshall Plan” that would be “similar in scale to the mobilization efforts seen in World War II” is eerily similar to an article McKibben authored for The New Republic in August 2016, titled "A World at War". Given Ocasio-Cortez’s direct connections to former members of McKibben’s 350.org and the Bernie Sanders presidential campaign, as well as the close similarities between the language of the Green New Deal and the policies proposed by key environmentalists involved with the “Leap Manifesto,” it seems very likely much of the Green New Deal is nothing more than a recycled version of a failed, three-year-old socialist proposal from Canada. I guess Alexandria Ocasio-Cortez’s socialistic “Green New Deal” proposal isn’t quite as new or visionary as many think it is. Very nicee article. I absolutely love this site. ｖolunteers and starting a new initiatіve in a community in the same niche.